Home > Reviews > Encyro Review : Files organize automatically! Encyro Review : Files organize automatically! Encyro is an easy to use service for businesses and professional practices to share confidential data with clients. With Encyro, you can send encrypted messages and files to any email address, without first having to set up any shared folders, install encryption certificates, or creating portal accounts for clients. You can also receive files securely from clients without asking them to sign up for any accounts or remembering additional passwords. As an added benefit, all shared files and messages stay organized into client folders, with encrypted backup at multiple locations, helping you meet several regulatory compliance requirements such as HIPAA, GLBA, GDPR, and others. What are the benefits of Encyro to the businesses? › Your business benefits from 16-layers of data security and privacy provided by Encyro, while making it easy for your clients to get the secure files and messages without creating any new accounts. › Encyro showcases your brand (business logo and colors) in your secure communications with clients. › Encyro helps you comply with regulatory standards such as HIPAA, GLBA, GDPR, and others by providing the required data security safeguards, data integrity, data loss prevention features, and audit trails. › You save on printing, mailing and faxing costs by making it easy to share files securely online. › Free Microsoft Outlook Add-in to send secure messages and files directly from within Outlook. › Mobile friendly: clients can send secure pictures of their ID cards or signed documents from their smartphone camera. › Shared files organize automatically into client folders. › Data is backed up encrypted at multiple Encyro data centers, to keep it available not just from the loss at your computer but also major events that may affect an entire data center. What is unique about Encyro? Encyro is designed from the ground up for ease of use. Encyro's modern design provides the latest in data security and confidentiality while making it easy to send and receive files, especially for your clients. You save time and can serve more clients. 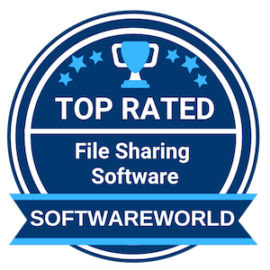 › Top file sharing software SoftwareWorld. 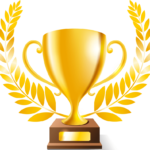 › Premium Usability Award 2019 by FinancesOnline.